By The Beatles. By John Lennon and Paul McCartney. Accordion. Classic Rock, Britpop and Psychedelic Rock. 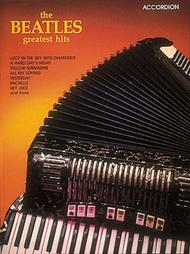 Voice/accordian songbook. With vocal melody, accordian accompaniment, chord names and accordian fingerings. 48 pages. Published by Hal Leonard (HL.359121). 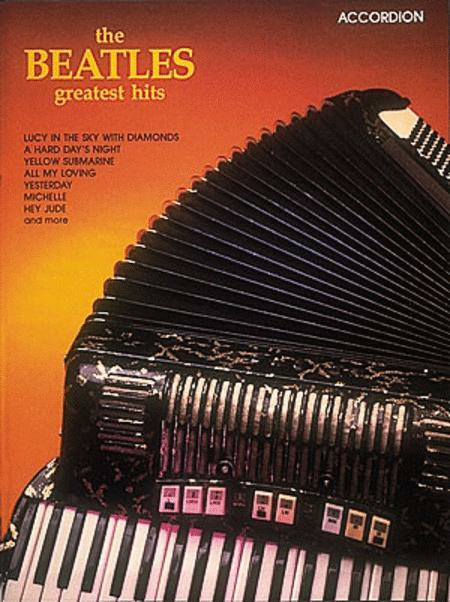 15 faves from the Fab Four arranged especially for accordion, including: All My Loving • Eleanor Rigby • The Fool on the Hill • Here, There and Everywhere • Hey Jude • Let It Be • Ob-La-Di, Ob-La-Da • When I'm Sixty-Four • Yellow Submarine • Yesterday • and more. true to the original recordings. Highly recommended! February 25, 2012 like it! Delighted with my music. I started playing the accordian when I was 10 yrs old and as an adult still find pleasure in playing. My challenge was finding good music. This book was fun and great fun for the baby boomer in me to enjoy. Thank you! 49 of 90 people found this review helpful. 42 of 79 people found this review helpful. 50 of 87 people found this review helpful.